"Les Septs Salons is the name of Alice Dourlen new EP, who performs has Chicaloyoh. Following her 2013 debut LP Folie Sacré (Shelter Press), this EP stands has a condensed document of a 18 months non-stop globetrotting tour. Melting experimental and oriental sounds with a strong theatrical aesthetics, Les Sept Salons is also the recording of a smooth transition between 2 languages, Alice Dourlen’s coming back to her—french—native tongue on half of the record. Contemporary bridges are getting built here, between psychedelic sounds and horror movie soundracks, between some modern incarnations of Nico and Catherine Ribeiro. Built in two very distinctive parts, the EP has been recorded last summer in her very own by-the-sea recording studio Chaudelande (Normandy !). The first track The Sound of his Tenderness recalls some of the deepest moment of women-in-horror fictions as The Cremator (Hrusínský, 1969) or The Third Part of the Night (Zulawski, 1971). Chicaloyoh’s driven herself to a new galaxy of vocal explorations for a ten minutes opening track, The Sound of his Tenderness is for sure the most epic and complex piece of music ever composed by the musician. Jeune Fille / Prosternation Intérieure—second and ending movement—is a twofold song. Bringing some unexpected orientalist colors, along some—long awaited!— lyrics in french in the realm of french poet Joë Bousquet or painter Balthasar Kłossowski, those new lyrics came with a new way of recording. Using the text as a crucial starting point in the composition process, Chicaloyoh find here a new world to dig in, of which this diptych sounds like a promising very first hint. 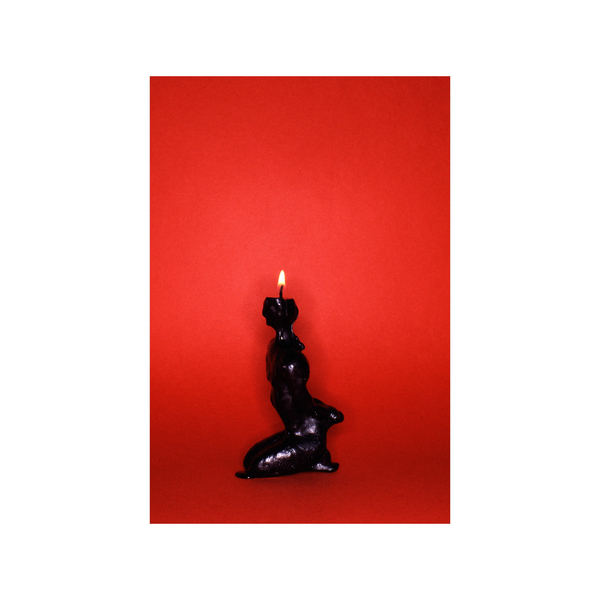 Standing as a beautiful answer to Chicaloyoh's music, the votive offering on the cover has been made by the paris-based photographer Camille Vivier, with one of her very unique female form in wax. Clocking just under 20 minutes, Les Septs Salons is the beautiful echo chamber from a timeless and very unique musician."